Getting PAYE deductions correct is an important task for employers, and from an employee perspective it is very useful to be able to check these deductions. 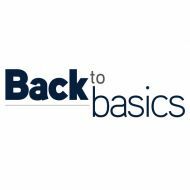 Here we go back to basics on understanding pay packet deductions as covered in Principles of Tax. Pay as you earn (PAYE) is the system used to collect income tax and class 1 primary national insurance due on earnings paid to employees. The system can also be used to collect other amounts, such as student loan repayments or the estimated tax due on savings or investment income. Employers are obliged to operate PAYE on payments made to their employees, leaving the employees with a net (after tax) payment while paying the income tax, primary national insurance, and the employer’s own secondary national insurance contributions, to HMRC. The calculation of income tax due uses the employee’s PAYE code and their cumulative pay for the tax year to date. The calculation of national insurance, on the other hand, is done for each pay period in isolation. How much tax is deducted? The PAYE code tells the employer how much tax-free pay an employee is entitled to during the year. The tax code is alphanumeric with the most common example for 2018/19 being 1185L. This is the tax code for an individual entitled to £11,859 of tax-free pay for the year (just more than the 2018/19 personal allowance). The employer drops the letter from the code and adds a 9 to the end of the number to give them a figure of £11,859 of tax-free income (the 9 is added to ensure any rounding differences go in the taxpayer’s favour). A ‘K’ code is used to tell the employer that the employee is not entitled to any tax-free income in the year, perhaps because the employee has taxable benefits or other income that is using up their allowances. With a K code an amount should be added to income for the purposes of working out the PAYE deductions. For example, the code K500 tells the employer that £5,009 of income should be added to the employee’s annual income for PAYE purposes. Again, the letter is dropped and a 9 added to the figure. Codes prefixed with an ‘S’ are used to indicate Scottish taxpayers who have up to five bands of income tax applied to their employment compared to the three used elsewhere in the UK. There are many useful online PAYE calculators including versions for mobile devices such as www.uktaxcalculators.co.uk. Donald earns £24,000 per annum, paid evenly over the year. At Christmas 2018, his employer decides to award him a £1,000 bonus. Donald’s tax code is 1185L. In December, Donald will receive gross wages of £3,000 (monthly salary plus his bonus). So far, this tax year (eight months from April to November) he has earned £16,000 and has suffered PAYE deductions of £1,618.80 income tax and £1,246.08 class 1 NIC. The class 1 primary NIC is worked out using only the earnings for the month. The £3,000 received exceeds the primary earnings threshold (PET £702) but not the upper earnings limit (UEL £3,863). The excess over the PET is therefore taxed at 12% giving NIC due of £275.76.